Being an invested music fan is an affair that involves repeated existential crises that come without warning and may linger with you for the rest of your life. Anyone who spends enough time paying attention comes up with their own preferences, guilty pleasures, and yes, an inevitable smugness that comes with loving one thing and hating another. There are always bands and albums you love, hate, love to hate, and hate to love, and those lists are always getting longer, shorter and revising themselves with age. 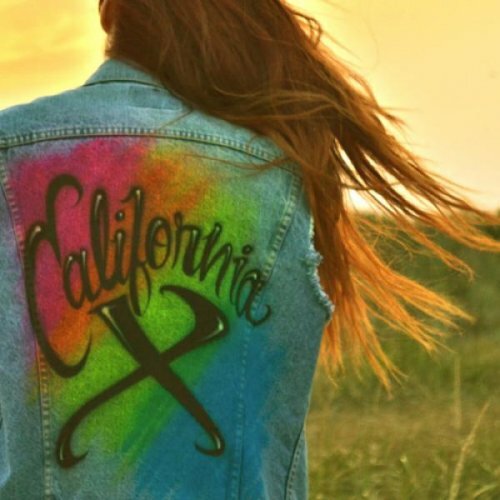 The constant is two-fold: a love for the craft, and ostensibly more immediately, a love for how the music makes you feel.California X are an interesting case is toeing the line between my personal lists. Just like Dinosaur Jr., a band they’ve been likened to on numerous occasions, I can’t decide whether to enjoy the crunchy feedback (love), yawn at the same flat-sounding distortion settings they use on every track (hate), shun them for derivative nostalgia mongering (love to hate), or accept them as a modern-era buzz band that will inevitably fade after a month or two (hate to love). For now, the cons tend to outweigh the pros despite what other critics are lauding as “a cauldron of all our favorite anti-heroes.” That may be the case, but for now, it might be that the fire has been out since the day Soundgarden broke up. Sure, the energy is infectious, and I’ll be the first one to admit that sometimes you need something loud to get going. I’m also willing to bet their live show is akin to Japandroids’ (i.e. a bunch of twenty-somethings simultaneously gleeful and spastic), which sounds rather appealing. You know how when you make soup for dinner and it somehow tastes ten times better the next day for lunch? This might be a case of that. Only after a few listens and more than a few moons will we be able to tell if, like so many bands of the day that have been praised by trendy critics, we just end up with cold soup. This entry was posted in Albums, Review and tagged california x, Don Giovanni by Brandon. Bookmark the permalink.